The superfow of two kinds of superconducting electrons (arrows show their velocities) as calculated on supercomputers. Graphic 2 shows superflow of the other subpopulation of electrons on the surface of a vortex cluster. Graphics courtesy of Egor Babaev. (PhysOrg.com) -- In this 100th anniversary year of the discovery of superconductivity, physicists at the University of Massachusetts Amherst and Swedens Royal Institute of Technology have published a fully self-consistent theory of the new kind of superconducting behavior, Type 1.5, this month in the journal Physical Review B. Classifying superconductors in this way turned out to be very robust: All superconducting materials discovered in the last half-century can be classified as either, Babaev says. But he believed a state must exist that does not fall into either camp: Type 1.5. By working out the theoretical bases for superconducting materials, he had predicted that in some materials, superconducting electrons could be classed as two competing types or subpopulations, one behaving like electrons in Type I material, the other behaving like electrons in a Type II material. Babaev also said that Type 1.5 superconductors should form something like a super-regular Swiss cheese, with clusters of tightly packed vortex droplets of two kinds of electron: one type bunched together and a second type flowing on the surface of vortex clusters in a way similar to how electrons flow on the exterior of Type I superconductors. These vortex clusters are separated by "voids," with no vortices, no currents and no magnetic field. The major objection raised by skeptics, he recalls, is that fundamentally there is only one kind of electron, so its difficult to accept that two types of superconducting electron populations could exist with such dramatically different behaviors. 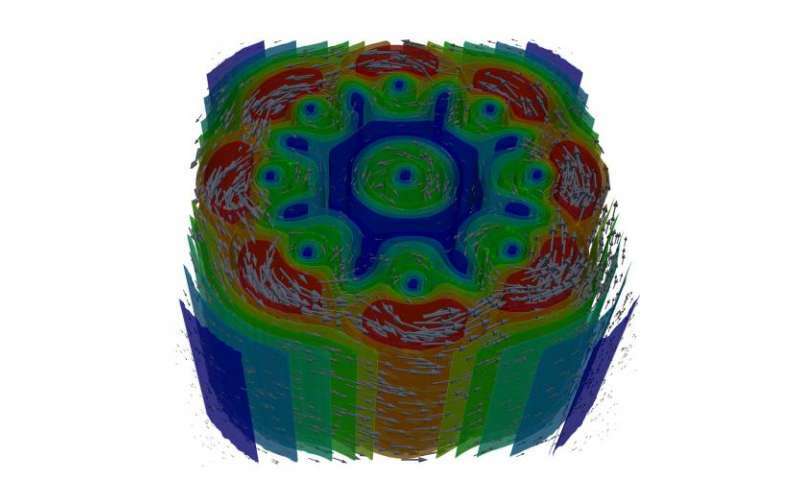 "With the development of theory that works on the microscopic level, as well as our better understanding of inter-vortex interaction, we can now connect the properties of vortex clusters with the properties of electronic structure of concrete materials. This can be useful in establishing whether materials belong in the Type 1.5 superconductivity domain," says Babaev. IMO the superconductivity arises, when movable electrons are squeezed between atoms in such a way, their repulsive forces compensate mutually. The type I superconductors are squeezing electrons with attractive forces of their d- and f-orbitals, which doesn't provide very high temperatures of superconductive transition. Type II superconductors are using the attractive forces between whole groups of atoms in layers, which enables them to squeeze electrons more. They're forming the superconductive paths not at the atomic level, but at the lattice level. Which means, there are conductive stripes of electrons separated with many layers of "inert" atoms, the main purpose of which is to keep the electrons together. In Type I SCs the magnetic vortices are single atom wide and they're always repulsive, in Type II SCs the magnetic vortices are attractive. The Type 1.5 SC is mixed state, so that the magnetic vortices are attractive at long distances, repulsive at short ones. Superfow = the process of carefully editing scientific articles for correct spelling, punctuation and grammar. 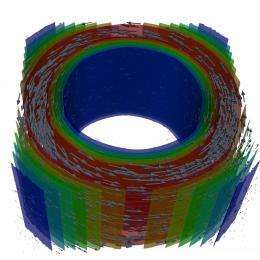 Supercomputers calculate that the superflow in superconductors is superfly. A new kind of superconductivity? It's a new application of superconductivity we were ignorant of knowing, until now. New to us, Horus. I bet you're fun at parties.